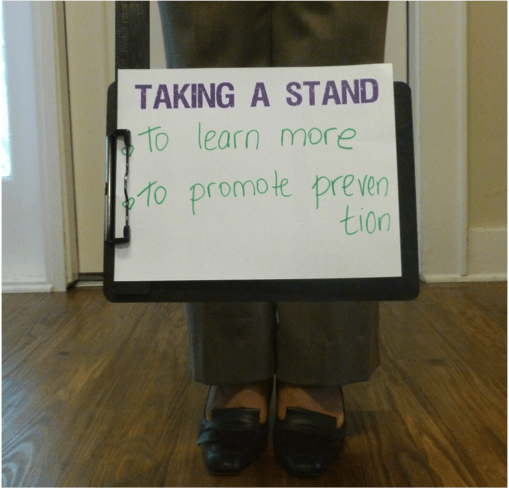 It’s Thursday, and so we share another presentation by someone who is Taking A Stand! What a great reminder! It’s always important to keep learning and to share that information with others. As was mentioned by another LTAI Peer Advocate, knowledge is power! So today we encourage you to take a stand to learn something new HIV and pay it forward by promoting HIV prevention in your community! And, don’t forget, you can share how you are Taking A Stand! It’s easy—just send us a photo of your message and your feet and we’ll post it to the blog! Email photos to: letstalk@rwhp.org.